With the up and coming release of the 2017 Ford Escape in El Paso, TX, fans are already heading down to their local dealerships to get a glimpse of its well-reviewed features. 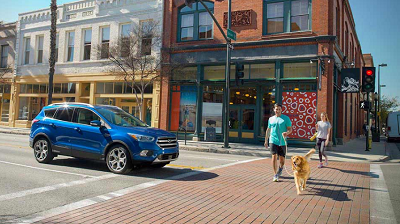 For nearly two decades, the Ford Escape has been known to be the crowd favorite, being a reliable SUV that can take on the city as well as the challenges of the great outdoors. Drive this Ford in El Paso, Texas, and you’ll be sure to have thrilling adventures and more. The base trim for the 2017 Ford Escape in El Paso, TX has the 2.5L 4-cylinder engine that gives 168 horsepower and 170 lb-ft of torque. On front wheel drive (FWD), you can expect fuel economy of 21 mpg in the city and 28 mpg on the highway. This entry was posted in Business on October 5, 2016 by Domingo.